Marine autonomous systems working independently and in connected systems are fast becoming a growth sector within the ocean industry space, including the oil and gas industry. 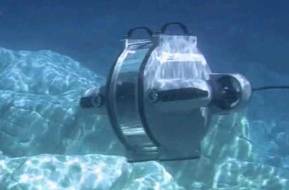 The emergence of new marine autonomous systems appears to be a weekly occurrence. As costs have reduced in numerous areas, from sensors to satellites, some of these systems are also coming within the grasps of ordinary citizens, as well as ocean scientists, looking to unlock the secrets of the deep. Part of the drive for these systems, in the oil and gas industry at least, is to reduce use of manned surface vessels, which are costly to operate and emit fumes, at best. A goal set for Norway’s Norwegian University of Science and Technology (NTNU) is to reduce use of surface vessels by 80 percent in several oil and gas operations. The NTNU’s Center for Autonomous Marine Operations and Systems (AMOS) has the task of finding solutions to meet that goal, as well as targets to increase mapping and monitoring coverage by 10 at a tenth of the cost. Another goal is for “safe marine operations anywhere at any sea state at one-tenth of the cost,” says Asgeir Johan Sørensen, Professor and Director of AMOS. Initially, it was work in the oil and gas sector, to avoid risk to divers, that led to Norway to pursue remote operated subsea technologies. It’s been more recently that the industry has been looking to develop more autonomous subsea systems, from processing equipment to subsea vehicles, such as pipeline tracking autonomous underwater vehicles. Within the past year, Norway’s Statoil has been working towards subsea resident vehicle concepts, deploying two different remote operated vehicles (ROVs), one from Houston-headquartered Oceaneering (the e-Novus) and one from Norway-based IKM, on multi-week and even month deployments. However, while these deployments meant the vehicles were autonomous in that they no longer needed a support vessel, they were still tethered and operated by staff onshore. 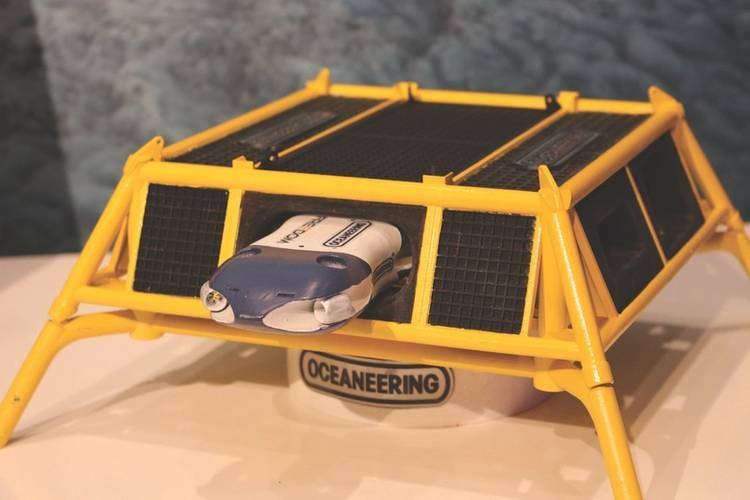 The next step will be vehicles that can operate without a tether, such as Oceaneering’s new Freedom concept, which it unveiled at the Subsea Valley Conference in Oslo. It’s a resident ROV concept, based on a hybrid vehicle, that would live in a subsea docking station and be able to fly out on missions in either tethered (remote operated) or untethered (autonomous) mode. It would have onboard batteries that would be recharged at its docking station and a tooling “magazine” it could select from. The firm is hoping to perform offshore trials with a prototype, expected to be about 3.3m-long, next year, Arve Iversen, ROV operations manager, said at Subsea Valley. Much more is being done to develop autonomous systems, however. NTNU AMOS was set up between The Departments of Marine Technology and Engineering Cybernetics at NTNU, working with other international research partners and Norwegian companies, as a Centre of Excellence (CoE) support by Norway’s Research Council, from 2013 for 10 years. Since 2013, it has already notched up 53 PhD students and multiple other spin-outs, including drone firm Scout, and BluEye, an observation ROV (deepest underwater commercial drone) company, with Go-Pro style usability. This mix of companies gives an idea of where the research is heading, i.e. interconnected networks of systems. As well as also working on improving intelligence in systems, such as power systems, making them more intelligent to optimize energy consumption and battery use, AMOS is also looking at swarms and heterogenous systems, involving in air and subsea drones, as well as unmanned autonomous surface vessels, which would reply on satellite infrastructure for communication and connectivity. Norway is becoming a testing ground for these technologies, with a number of areas designated as test beds, including Trondheimsfjord in Northern Norway, Storfjord in the northernmost part of western Norway, an area with several ferry crossings deemed suitable for testing and developing sensor technology and management systems, and Horten on the Oslo fjord in southern Norway. 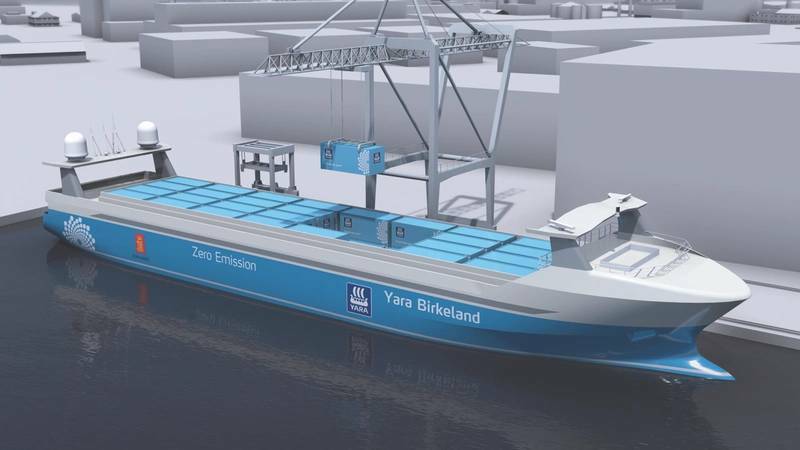 Indeed, Kongsberg, which is working heavily in autonomous shipping, including an “autonomous and all-electric” container ship, the Yara Birkeland, is working with NTNU unmanned, underwater resident “snake” robot spin-out Eelume. Kongsberg is also heavily involved in a number of other projects (having established its position in the autonomous underwater vehicle (AUV) market with the Munin and Hugin AUVs), including the Sea-Kit, a hybrid AUV-ASV, which will sport a Kongsberg K-MATE autonomous surface vessel control system. There are also different levels of autonomy, he says and different approaches. One, the human is still in the loop. Two, management by consent, using teleoperators, a field which started in the space industry because of the time delay in relaying signals. Three, management by exception. “A lot of oil and gas rigs and offshore installations are on level three, management by exception. On ship, there’s thousands of signals just to control the power plant. So the system is more or less autonomous. Four, highly autonomous. 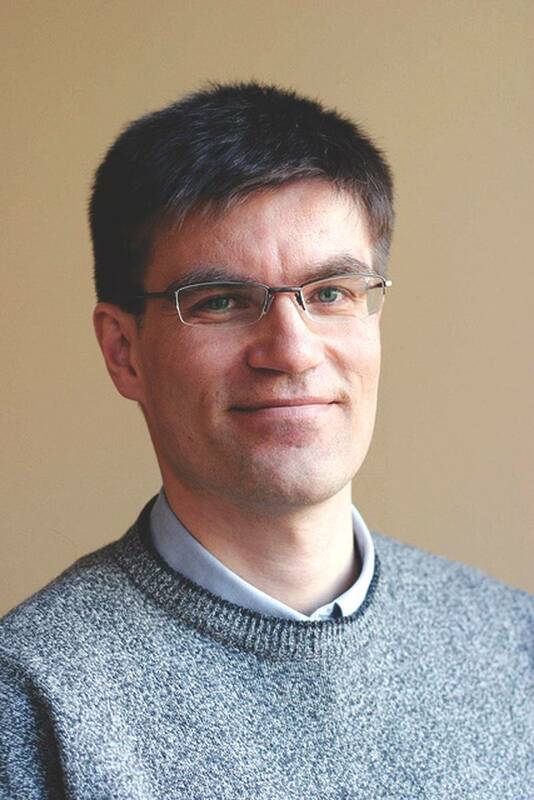 Sørensen says fully autonomous tends not to be used – the discussion gets rather philosophical. How autonomy is implemented can also take different forms. Platforms can sense then act, or sense, model, plan and then act. While something like Kongsberg’s power management system for dynamic positioning has autonomy, it's not so much able to reconfigure and make deliberative choices, says Sørensen, giving an example. Similarly, an unmanned platform isn’t autonomous, it’s reactive, he says. It could be made more autonomous by introducing deliberative control architecture. Take it another step and the system can learn by sensing and by doing. Examples of this include mapping systems which are able to detect, by themselves, any gaps in the data they have collected and go back and fill them in, during a mission. An intelligent system like this was used to track plankton in the water column, having had to find the plankton in the first place then follow it. These capabilities will be crucial when systems are working with and around subsea oil and gas systems, which is expected to be one of the main areas where autonomous systems are required, along with ocean science, says Sørensen. For whatever the purpose, be it oil and gas exploration, renewables or aquaculture development, shipping or ocean science, the range and capability of subsea equipment and ancillary and support systems is expanding by the day, aided by developments in ICT, nanotechnology and even biotechnology (for the snake motion used by Eelume, for example), including new materials, microe-electric-mechanical systems, and big data. As an example, systems are being developed which could sense and distributed forces along the body of an underwater vehicle, in order to compensate for or reduce drag, says Sørensen. He also cites micro to macro actuation and sensing, and machine vision systems using hyperspectral sensing which can take in any wavelength to classify and detect things that we haven’t been able to before. The possibilities are vast. Sørensen also sees a “democratization” of this space. With cheaper satellites and commercial underwater drones available to the public, “everyone can be an ocean scientist.” It’s a timely availability of technology, Sørensen says. “Everyone should be aware of the oceans, and how we care for them. Putting plastics in the ocean, we will not get away with that, the public will see it more and more. “We see there is huge potential for unmanned autonomous systems, from space to the seafloor for mapping and monitoring of the oceans,” says Sørensen. How this world will be ruled and regulated in yet to be answered. There are also concerns about cyber security. But, people also need to look at their business models, says Sørensen. “Where ever you are sitting, I would be worried about my business model. There are changes going on, you need to be awake,” says Sorensen.